The following frames were shot in shade using a Sigma 18mm -50mm stills lens at around 35mm. There are some frames missing in each exposure series, again this was due to me learning how the lenses worked with the camera, set to 0.5 stop increments the thumbwheel would occasionally stutter bewteen a full stop and a half stop. I'm not clear whether this is a lens or camera problem or just me! The first frame in each column is the "correct" exposure for Rec-709 at ISO 850 exposed at F22 and then opened up at half stop intervals to F2.8 at that point a 4 stop internal ND filter was added and the series continued at the point image density showed a half stop below "normal" and then down to F22. The range is smaller than my normal +/- 7 stops but this is a preliminary test and will be followed by a controlled studio test. They are all slightly blue as they were shot in shade and there is no correction of any kind applied to the images. The sequences were converted from MXF to uncompressed AVI in Edius 7 and then grabs made from SpeedGrade NX. I went this route becasue SG doesn't read Canon MXF and I haven't got Resolve Window Beta to work properly for me yet. 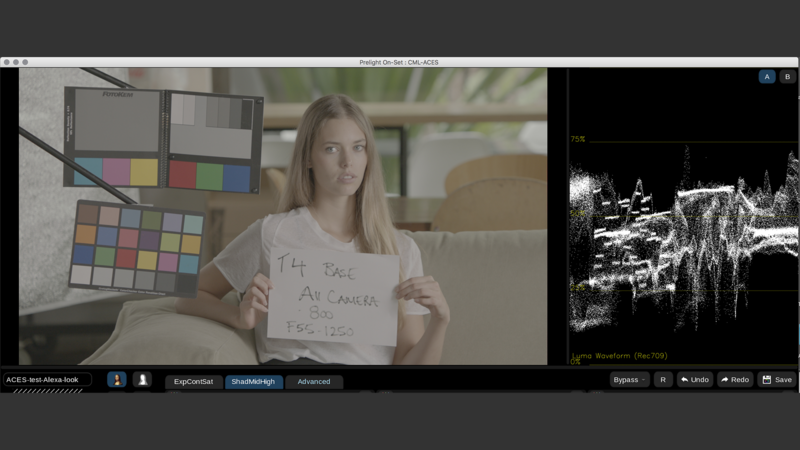 I wanted to be able to take exposure readings from the frames as we went and only SG was capable of doing this reliably. As usual full size frames are available by clicking on the thumbnail, however as they're Targa files this time you'll probably need to download then, right click on Windows machines, to view them.